Today I was reading an interesting article about the 9 Kubernetes Security Best Practices everyone must follow. In that article they basically enumerate and briefly describe how to follow and accomplish those 9 security recommendations. I’ve extracted them here for you to simply go quickly through them. In the article they don’t specify if the order of this list is important, but for me the most obvious things must come first. Keeping your cluster upgraded is always the first thing you should do. RBAC is the new access control they introduced in Kubernetes 1.6 and basically allows you to control who can access your API in a more secure and improved way. I’ve been using namespaces from my first cluster setup and they’re great to isolate components and even the logic of your different cluster parts. Related to security it’s also really handy to be able to apply different security controls based on namespaces. Sensitive workloads should be ran in dedicated machines, this reduces the risk of an non authorised app accessing that sensitive info. By using namespaces you can achieve this. I thing this recommendation is more focused for GKE environments and any other cloud services, a recent Shopify bug bounty disclosure detailed how a user was able to escalate privileges by confusing a microservice into leaking information from the cloud provider’s metadata service. They’re still working in a more robust & permanent solution for this. This is something that is purely related with cloud services that allows you to configure network policies for controlling network access into and out of your containerized applications. However you can always apply same concept in your private cluster, by running them in isolated networks and stablish direct communications only when needed. A Pod Security Policy sets defaults for how workloads are allowed to run in your cluster. Consider defining a policy and enabling the Pod Security Policy admission controller — instructions vary depending on your cloud provider or deployment model. As a start, you could require that deployments drop the NET_RAW capability to defeat certain classes of network spoofing attacks. They put this point at 8th position in their list. In my humble opinion should come at 1st position in this list. At the end a cluster is a set of nodes orchestrated by Kubernetes, those nodes are just machines and they live in a network environment so hardening your machines should be the most important and the very first thing you must do. logging, logging, logging ! You need to know what’s happening in your machines, logs all the actions to discover misconfiguration issues, security problems, etc. Those are some personal recommendations I make for you, of course, depending on your needs, you need to apply more. Please read this guide to understand server hardening. I told you 😉 the more you know about what’s happening under the hood, the more control you’ll have on your system. Enable audit log to discover unauthorised API calls or any kind of authorization failures. Thanks to Sentry.io I could realise that despite being an old browser Chrome49 is still used by the users using my projects. So I decided to fix those issues. In summary despite being a lot of articles and people talking about vue.js, is still in adoption phase, Angular and React are clearly dominating the market and jQuery is still also active, probably due legacy code and because is the first thing you start learning if you start in this world. Happy coding in this new 2019! In the previous article we talked about how to create, publish and use your private NPM packages. This time is the moment to talk about how to simultaneously work on an application and a dependency used by that application. After a long time working with different package systems I decided to migrate all my packages and dependencies to NPM. And the result couldn’t have been better. When NPM reached the 5.x version they included a lot of things that improved the performance, speed and security of the packages. There’re two commands that I specially like a lot. Many of you have asked me for a quick Dart syntax cheat sheet. 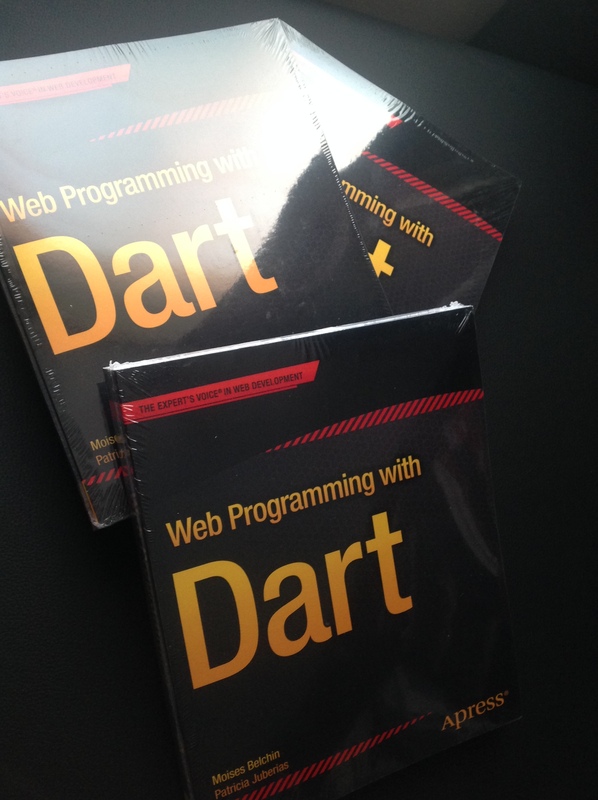 Here you can find 4 different illustrations to help you out when working with Dart. Recently I faced the requirement to create a git commit messages convention to be shared across a software developer team. I was looking for something simple and straightforward that every developer could do easily in his/her daily basis. Recently I started to migrate all my code from ES5+jQuery to ES6 for different projects. I discovered a lot of cool things. Of course, I also faced some issues and I thought would be great to share all the stuff I’m learning and fixing with the rest of the people planning to migrate to ES6 as well. I’m gonna write a serie of small articles covering all the new ES6 features and how to migrate your code from previous ECMAScript versions or from jQuery code. I’m going to show you how easy is to deploy Fluent Bit into your Kubernetes cluster. I’ll configure Fluent Bit to work together with Loggly, an external logging tool to manage all your cluster logs. But first, some quick concepts about the tools we’re going to use. Kubernetes, in short, is a tool that allows you to manage, in a better organized and simpler way, your containerized applications. Un equipo de investigadores del Instituto de Energía Solar de la Universidad Politécnica de Madrid ha desarrollado un modelo para predecir la producción de energía de un sistema fotovoltaico partiendo de una mínima información meteorológica. El modelo permite predecir la producción de energía de un sistema fotovoltaico disponiendo solamente de los doce valores mensuales de la radiación solar, la turbidez de Linke (transparencia de la atmósfera), y la temperatura ambiente. Very surprisingly discover these results about ECMAScript 6 support today (2015-02-22) on the most advanced and most used web browsers. I can see to much “red boxes” on the attached picture. Los desarrolladores de PHP ha lanzado una actualización de seguridad que soluciona 3 vulnerabilidades de seguridad que podían causar desde una denegación de servicio hasta tomar el control del sistema afectado. 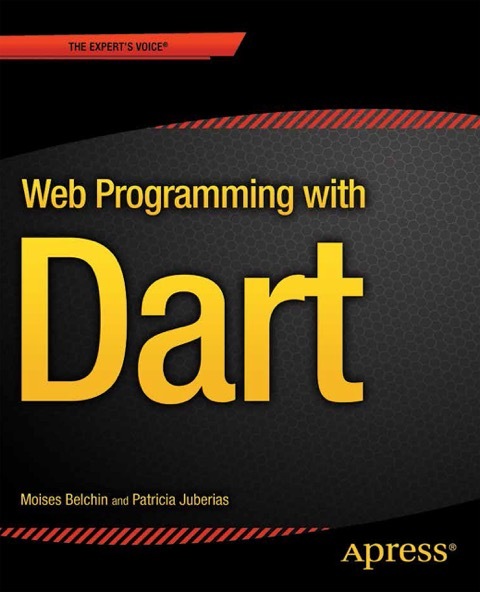 Después de unos meses de mucho trabajo, Patricia y yo estamos muy orgullosos y contentos de anunciar nuestro nuevo libro: Web programming with Dart. Ya ha sido publicado y está disponible para que lo podáis disfrutar en los siguientes enlaces. Queremos agradecer a todas las personas de Apress involucradas en el proyecto y muy especialmente a Matthew, Ben y Melissa por su ayuda y apoyo durante todo el proceso. Estamos super contentos, ya tenemos portada para nuestro nuevo libro, que os parece? Está siendo posible gracias al esfuerzo de muchas personas: Ben, Mathew, Melissa, Dhaneesh, Lori, James y todo el equipo de Apress, muchas gracias! Gracias a todos por el apoyo y los comentarios! Estamos encantados 🙂 y aprovechamos este post para dar las gracias a Kathy Walrath de Google, por su colaboración y la aprobación de nuestros Pull Requests en GitHub. Después de muchos meses madurando la idea y trabajando muy duro en ella, podemos decir con gran satisfacción que ya se encuentra disponible el primer libro sobre Dart en Español. Gracias a todos los que a través del email y de este blog habéis inspirado la creación de este libro. Hemos creado el libro con la intención de presentar y dar a conocer Dart a toda la comunidad de programadores de habla hispana, pero no sólo a programadores sino también a diseñadores web cansados de pelear con toda la amalgama de lenguajes y frameworks presentes hoy en día en Internet. Estamos seguros que el libro os encantará, es muy directo y cubre todo el SDK de Dart hasta su última versión. Lo hemos llenado de ejemplos de código sencillos que ejemplifican perfectamente cada una de sus funciones. Esperamos que los disfrutéis. Ya está disponible la nueva pre-release del SDK de App Engine. En esta ocasión con muy pocas novedades, tan solo algunos cambios en el SDK de PHP, aunque como siempre con correcciones y mejoras de estabilidad y rendimiento. Un auténtico placer, ofrecemos la presentación sobre Google Dart, en Dart Flight School, el evento organizado el 29 de marzo, por GDG Madrid. Espero que os haya gustado!! ¿Quieres aprender a desarrollar aplicaciones web con Google Dart? ¿Te apetece pasar un buen rato con otros desarrolladores? 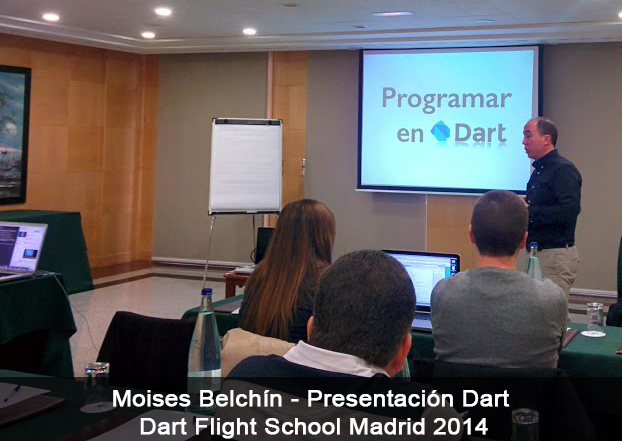 Entonces, no te lo puedes perder: Dart Flight School Madrid. Un evento gratuito organizado por GDG Madrid. Presentaré el lenguaje Dart con todas sus ventajas y descubrirás que es sumamente potente y funcional.